The CS Cattle Company is proud to offer fully guided private land hunts on the historic CS Ranch. Located in northeastern New Mexico, the CS Ranch is a working cattle ranch covering over 130,000 acres of privately owned plains, foothills and mountain country. The CS Ranch has been family owned and operated since 1873 and has been featured in numerous books, magazines, advertisements and documentaries. Randy Davis, a fourth generation rancher, cowboy and sportsman has operated the CS Hunting and Outfitting since 1982 and supervises all hunting operations. The CS strictly limits the number of permits available to ensure high success rates and a memorable hunting experience. 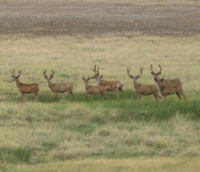 Hunters on the CS Ranch will hunt from the Headquarters area of the historic CS Ranch in Cimarron. 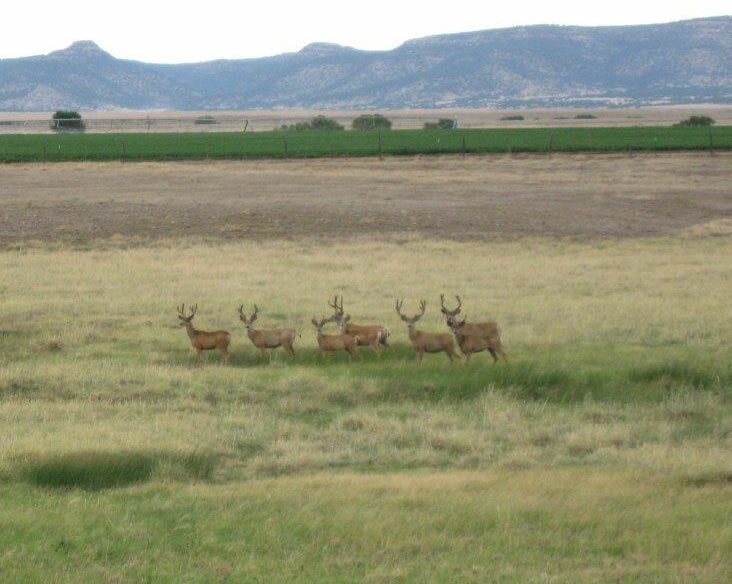 Hunting parties are typically four hunters at the CS Ranch Headquarters Area. The CS guide-to-hunter ratio is one guide for every two hunters. All hunts are conducted out of 4-wheel drive vehicles and on foot. Professional caping is provided by the guide. Meat processing is available in Springer, New Mexico. Hunters will need to bring a rifle, ammunition, appropriate outdoor clothing and personal gear. There is a 100-yard sight-in range at the Headquarters area available for sighting weapons. All hunts are conducted in accordance with New Mexico Department of Game and Fish rules and regulations. 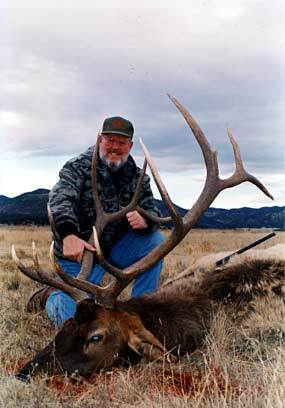 The New Mexico Department of Game and Fish requires an annual New Mexico game hunting license, habitat stamp, and permit to hunt all game. Licenses are guaranteed when the hunt is booked. The New Mexico rules and information can be found at: http://www.wildlife.state.nm.us. Our hunts for 2014 are currently fully booked. Please contact info@cshunting.com if you would like to be placed on our waiting list or for more information. Have a great hunt, wherever it may be!